Jessica Surber is a partner at ELPO who works primarily on products liability and personal injury cases, with most of her practice focusing on defective medical products and pharmaceuticals. In the medical device field, Jessica has handled many cases against the manufacturers of metal-on-metal hip replacements, which have become widely criticized for poor design. Other cases Jessica is handling include lawsuits against the makers of IVC (inferior vena cava) filters, which are used to prevent blood clots from traveling through the body and causing a pulmonary embolism. The IVC filters are sometimes left in the body for too long, and can puncture veins and cause other severe problems. Jessica is also representing patients who have been injured by Bair Hugger Forced Air Warming Blankets. The blankets are used during surgery to keep patients warm, but can promote deep joint infections after orthopedic surgery. These infections can sometimes lead to painful revision surgeries or amputations. Beyond medical devices, Jessica is handling cases involving Actos, a diabetes drug that has been linked to bladder cancer, and Lipitor. She is also representing patients who have suffered severe bleeding events while taking the Xarelto. Jessica has an undergraduate degree in accounting from Western Kentucky University and a law degree from the University of Kentucky. She is a member of the American Association for Justice, the Kentucky Justice Association, the American, Kentucky and Bowling Green-Warren County bar associations. 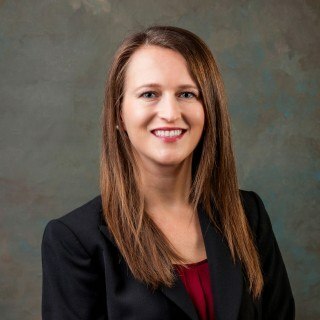 She recently graduated from the Leadership Bowling Green program, served on the Western Kentucky University Young Alumni Council and the Board of Directors of the American Red Cross of South Central Kentucky and the Bowling Green-Warren County Bar Association. She is a native of Franklin, Kentucky, and lives in Bowling Green.